Congratulations to all the first year medical students who are starting or getting ready to start medical school. As you will soon seen, from day one there will be an overwhelming amount of information to process and learn … much more than any you have seen during college. It’s going to take a new strategy! 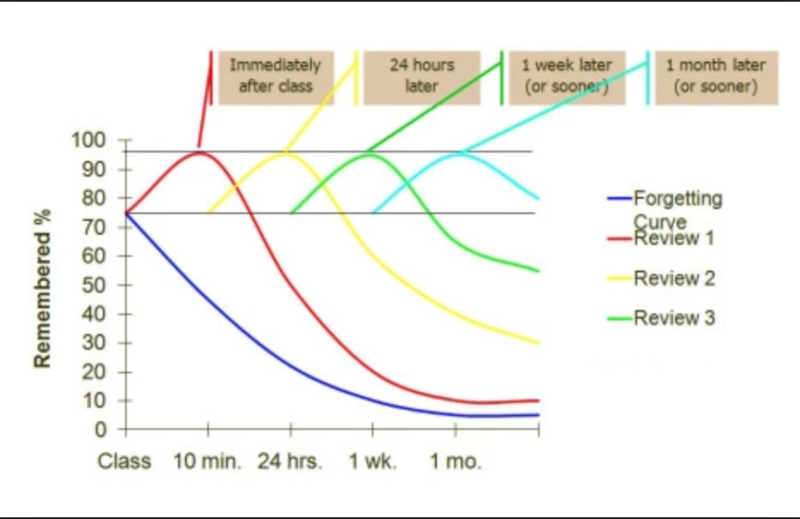 Unlike college, the information you learn during your preclinical studies will be important when you take the first part of your licensure examination (Step 1) and when you start your clinical rotations in 2 years or so, and when you start your residency. It’s not just about learning this information for your exams, it’s also about creating a system to organize this information for the future. What should an ideal system let you do? What “notes” should you use to study? Use the notes provided by your professors, usually in the form of a powerpoint presentation or pdf of the presentation. Many students download the presentations into OneNote and annotate the slides during the lecture. If you use this system, it will be very important to make a one page summary of the key points. Going back to review each slide is very time consuming and not a good “juice to squeeze ratio”. (the effort you put into it is not worth what you get out of it). Take notes in class or to review like you did in college (highlighters and all!). 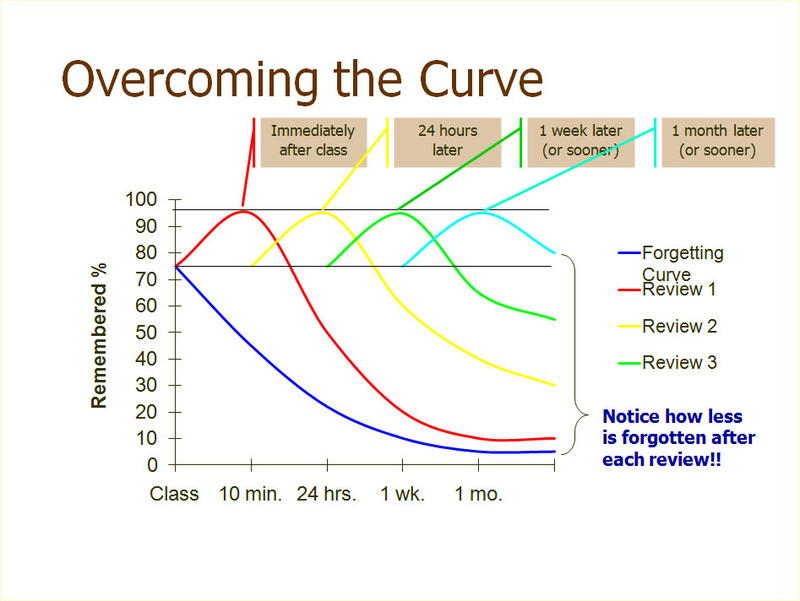 If you choose to do this, use the SQR3 method or the Cornell note taking method to prepare i.e. don’t come in cold to class. Write down the big topics to be covered, and come up with questions you expect to be answered in class. The key is active listening! Try mindmaps. Your brain doesn’t organize things into bullet points. If you use colors, images and this more “organic” organization, it’s amazing how much you can remember. Like mnemonics, the more outlandish the images and colors, the easier it is to remember. You’ll find an example of a mindmap to learn about pilonidal disease below. Note, for example, that the image for obesity is a stick of butter surrounded by fat globules. It’s creating your own images that makes this so powerful. Even though you can share mindmaps, or use software to create them, it’s more effective to draw your own. Handwritten may lead to better learning…. Worth thinking about! How should you organize your notes? Scanned notes. Evernote has an amazing free app called Scannable that converts any document into a pdf using your phone. So. if you draw a mindmap, doodle about the anatomy of the rotator cuff or have a typed handout from someone, you can scan it into EverNote. Photos of whiteboards, paper notes, images. Videos, like your professor showing you how to examine the knee for instability. There is an Evernote “web clipper” that can be used on your computer to download any webpage. Audio notes. You can record a review for yourself and save it as a note. You can find information by searching. Both typed and handwritten words will be recognized. When you store a link to a video it’s active, so you can click and go directly to the site. What should I do before I set up this system? Start the notes now – even though you don’t have the system in place. Listen actively and take notes actively. Make sure you create one page summaries of every lecture. Keep these to scan in when you start your account. Download Evernote for your Life | A Practical Guide for the Use of Evernote in Your Everyday Life by Brandon Collins and read it before you create your system. This ebook is concise, easy to read and will explain why you can’t think about EverNote as a “filing” system in the usual sense. When you start, be very deliberate about your tags. You don’t want to end up with “Penicillin”, “penicillin” and “penicillinV” as three tags for penicillin… Decide how to standardize your tags before you start i.e. when to capitalize, generic names of drugs only, etc. Evernote is not HIPPA compliant. Don’t EVER put any patient information (including photos) that could be identified. Go ahead and spend the money for Evernote premium. You’ll be using all the storage and the bells and whistles. By January of the 3rd year of medical school, most medical students have had rotations in 3-6 medical specialties (out of the 145 specialities in medicine). With what feels like really limited knowledge, they have to decide on their specialty and move forward. They apply through the NRMP in the summer, interview at training programs in the fall, and in March go through “the match” to find out where they will train. I moved past the “passion hypothesis” as the sole way to choose a medical specialty when I realized that there were other variables like debt and family obligations that were important, too. Here’s where I am now…. There may be a few people who have a lightening bolt hit them and know instantly what specialty they should go into, but they are few and far between. Most people gravitate in a direction without a clear destination i.e. 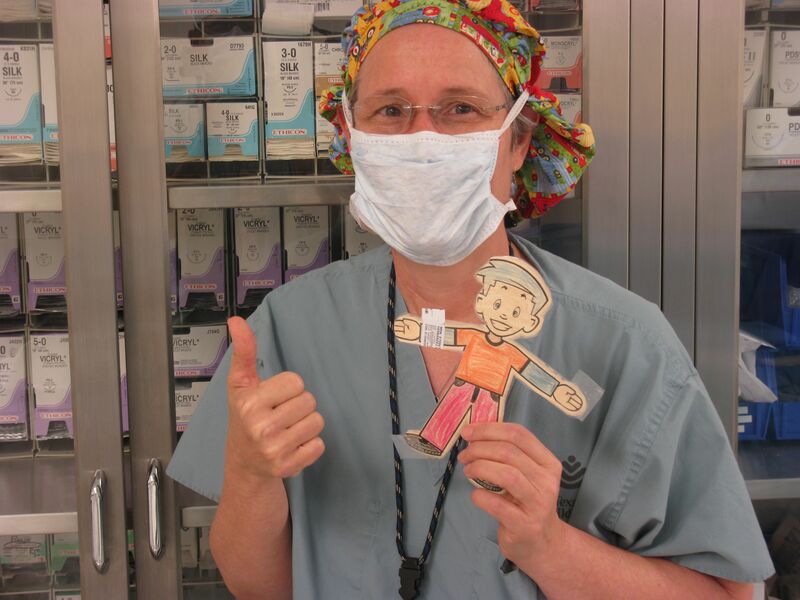 more medical than surgical, more procedural than not, more or less direct patient care, children vs. adults. At some point they pick a specialty that is in their “zone” of interest…. and then they worry that they haven’t seen enough specialties or they may be making a bad choice. As I’ve thought more about it, I have also begun to wonder if picking a specialty isn’t somehow similar to how we choose the important relationships in our lives. You may fall head over heels in love with another person or slowly realize you have met the person you want to spend you life with – but either way, the real relationship comes with time and “practice”. One other thought, if you are currently struggling with your specialty choice. There are no bad choices. All the specialties in medicine are noble and important. 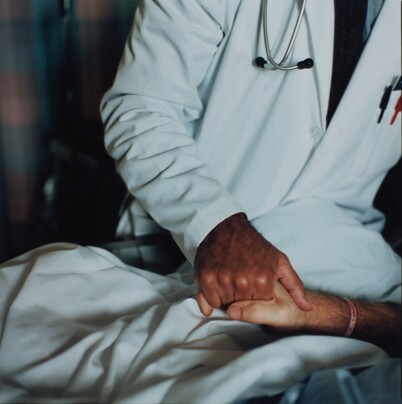 It’s a privilege to serve others… and we need all the specialties to be able to do it well. Take the plunge. Make the best choice you can and then devote yourself to being a craftsman in that field. 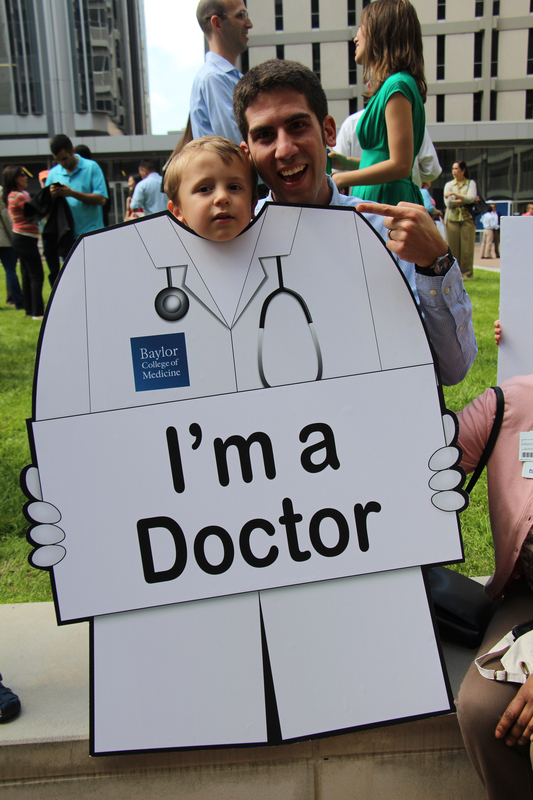 Last week was the White Coat Ceremony at Baylor College of Medicine. As part of the ceremony, several upper classmen are asked to address the entering class, speeches that we call “Thoughts from the White Coat Pocket”. Good evening ladies and gentlemen. Dear colleagues, let me introduce to you: your first white coat. Brand new, tailored for your size, just came out the plastic bag – it is a pretty cool object to own. Let me assure you it is far more than that. This inanimate, fairly non-complex thing will soon become an integral part of you. It will determine greatly how you see the world and how the world sees you, even when you are not actually wearing the white coat. And, of course, the white coat is a magic cape. It makes hearts beat faster, it suddenly makes it ok for people to discuss most personal things with you, they will believe in your superpowers, because I don’t know how otherwise explain the call from my former co-worker with a request to cure his dog’s arthritis. Some may say that this white coat is short, because our knowledge is not so impressive yet. Perhaps, but I view it as foundation. We have not build a house yet, but the moment this white coat touches your shoulders – you’ve started. And when you see your first patient at your preceptors office, remember that although you don’t have the letters MD after your name yet, you, just like, your preceptor, have an obligation to be respectful, empathic and knowledgeable. So, do you feel those butterflies in the stomach? It is a great feeling, so hold on to it. It is similar to falling in love. You are starting a relationship that is going to last a life time. It is going to have ups and downs, routine, exasperation and fatigue, but stay determined and work for it. Stay motivated, true and inspired. You are in one of the most exciting professional fields. And I know you have dreamt about it for a very long time. Today, finally, it is official. Congratulations! When I think back about my white coat ceremony 4 years ago, I remember being really worried about what outfit I was going to wear that day. I went through every tie and shirt combination at least 10 times. Eventually I just decided this occasion was too big of a deal and went out and bought a brand new outfit…which I never wore again. I must have taken a million pictures in it…I mean I needed just the right lighting, a smile that said “I’m a professional young doctor with a great bedside manner but could also be an extra on a daytime soap opera,” and if I cropped the picture just right you couldn’t even tell it was a short white coat. Admittedly, it was my Facebook picture for almost a year, marking the beginning of a great journey. Little did I know that both the pristine, little white coat and I would never be the same. See the funny thing about the white coat is that it changes just as much as you do during medical school. I remember the first day of preceptor for PPS1. I was so proud to wear it. To my shock and horror, that same day a 15 year old boy with a bad stomach bug would defile my coat. I scrubbed it, took it to the dry cleaners, and yes even sent it to my mother. The coat was clean, but something felt different about it…the coat had changed…I had changed. It no longer represented the promise of clinics. It had seen it’s first battle with disease and survived, and a part of me was proud of that. My little white coat would not see battle again until my second year during my first day of clinics. I woke up that morning and had my best friend take once again a million pictures for Facebook. It was that year that the coat and I transformed again. It was no longer a symbol but rather a tool that I could not live without. During my internal medicine rotation, it held my books, my stethoscope, my penlight, and my history and physicals as I anxiously waited to present. During surgery it held my trauma sheers, bandages, and my granola bar to get me through heart transplants. During psych, it distinguished me from the patients so they didn’t put me away! I couldn’t live without it and a part of me didn’t want to think of a world where I didn’t have 4 massive pockets. True story – I once put a Venti iced coffee in the pocket of my white coat and walked from BCM to Ben Taub with no spillage….these coats are indestructible! Then something happened this year. I started my sub-intern month on the brink of being an MS4 and decided to leave my coat in the team room. These were MY patients, I was the acting intern and I needed to go into battle without my security blanket. The white coat and I grew apart…and I started needing it less and less. This trend continued as I began my fourth year and started taking more responsibility for my patients. Suddenly the coat felt too small, it could hold my stethoscope and my books, but it could not hold all the responsibilities I was going to face next year. I will always be grateful to my short white coat. This is a very important day for all of you, take care of your coats and remember what they stand for. When you wear them you are representing BCM and all the generations of amazing physicians this school has produced. And when you get to your fourth year and feel those pockets getting heavier, when your coat feels small and you are ready to take on the challenges and joys of being a first year doctor…that’s when you know you are ready for the long coat. Welcome to the family BCM class of 2015 and Congratulations!